Every Thursday, I post a card showing a ballplayer wearing a throwback uniform from my collection. Hopefully, he will be wearing it well, with proper pants blousing. I'll try not to duplicate a uniform. The picture may be from the front of the card, or the back. Enjoy the uniforms from years past. I reeealy like this one. 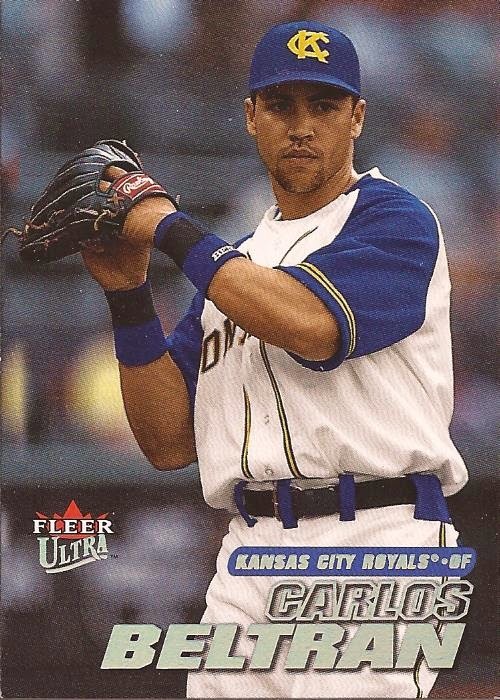 If the Royals didn't already have such a great look they could this with a name switch and I'd be a fan. Pride? I ain't got that.